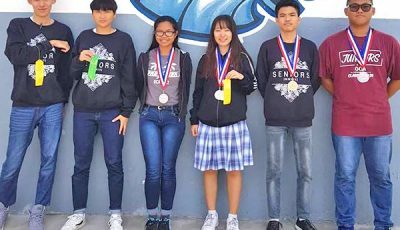 Grace Christian Academy recorded a rare feat, as it swept all three championships in the 2018-2019 Commonwealth Coalition of Private Schools Association Volleyball League, battling through formidable opponents and other obstacles en route to securing a trifecta this season. 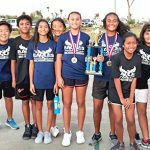 The first of the Eagles’ three titles was courtesy of their co-ed middle school team, which survived the surging Agape Christian School squad in a three-set finale, 25-19, 22-25, 15-9, last Jan. 15. 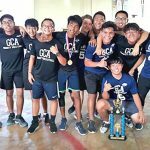 The youngest of GCA’s teams was not only tasked with keeping the red-hot Torchbearers at bay, but also assigned to help the community in its recovery efforts from Super Typhoon Yutu. The GCA-Agape finals match was originally scheduled for Oct. 23, but was rescheduled to Jan. 15 due to the storm. Then after Yutu mangled the island, GCA players diverted their attention away from volleyball activities to prioritize aiding residents in clearing debris from their properties. 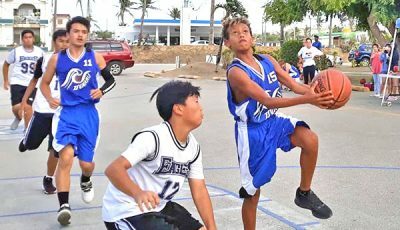 Though Yutu robbed GCA and other schools of practice time after the storm passed, Libut said that the Eagles’ hands-on involvement on the island’s recovery process helped them gel in an unconventional way. 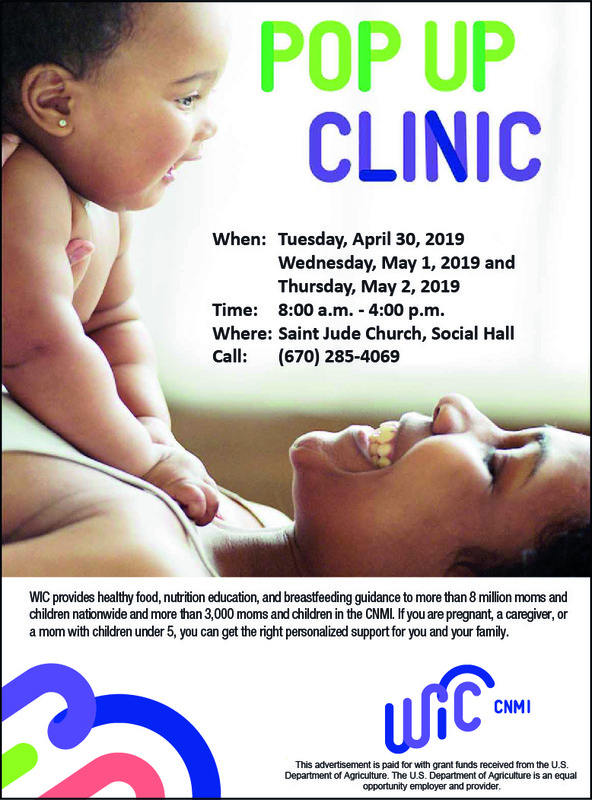 “Even if there were less practices, they learned communication, trust, and teamwork [through the recovery process], which are great qualities to have to win championships,” the GCA mentor said. 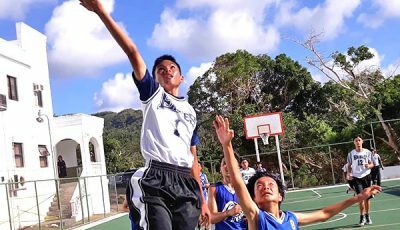 More than a month after Yutu flattened the island and with the affected residents still scrambling to bounce back, GCA and other participating schools thought the high school competition will be scrapped this season. 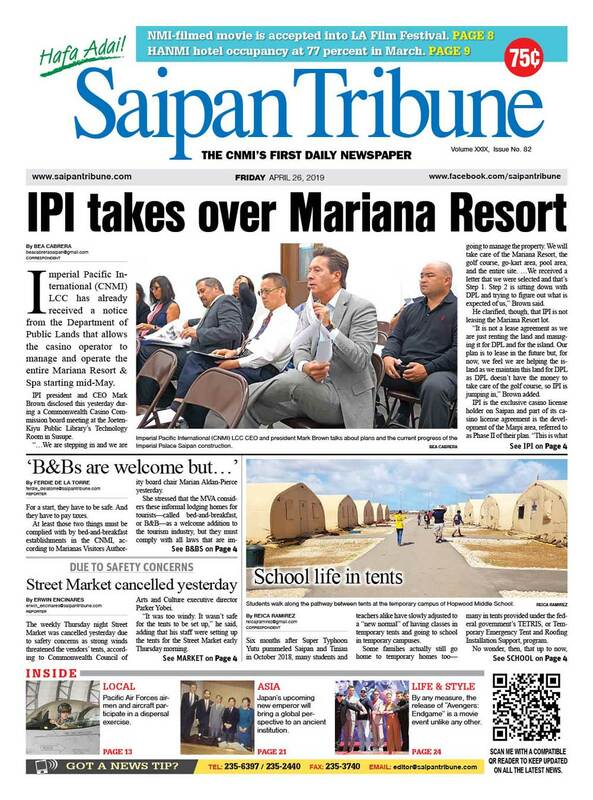 Phan and company went on to defend their title after outclassing Saipan International School in the finals last week, 22-25, 25-22, 15-9. Like the Lady Eagles, GCA’s boys team also overcame setbacks during their championship run. Pajarillaga and his teammates then had to work double time to make up for the lost trianing hours and get ready for the season. 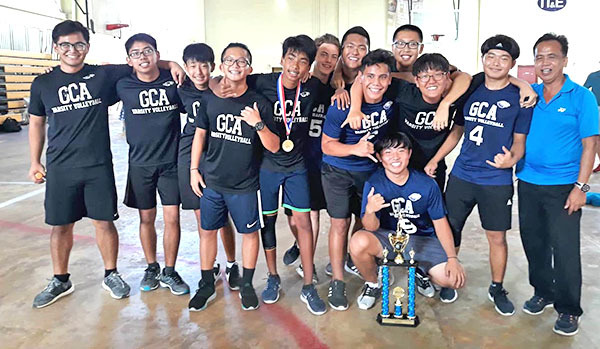 The Eagles’ efforts were rewarded when they toppled the mighty Geckos in two closely fought sets, 25-20, 25-23, in last Thursday’s finale and GCA went on to complete its impressive triple-championship run. 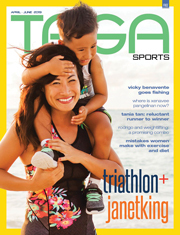 “I am thankful for being the coach of these three GCA teams that have won the championships,” Libut said. Phan and Pajarillaga added that they are blessed and proud to be part of this great achievement. 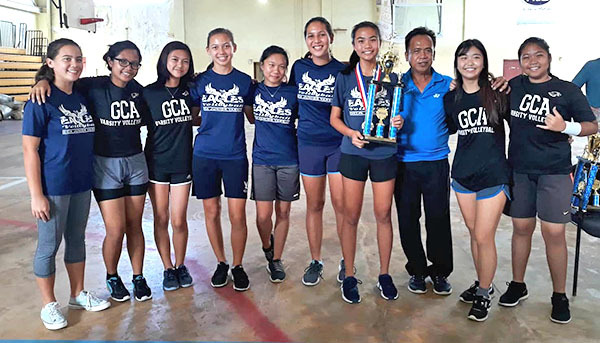 Libut is also overflowed with gratitude and thanked those who have been part of the success of GCA’s volleyball program.